Previous Story: Slow Doon Or Stop? Rosh asked his son to drive up and stop beside a tyre pump at the gas station, after they had filled up with fuel. 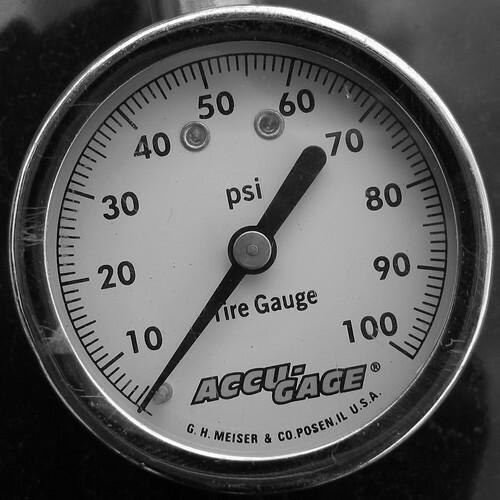 “Tyre pressure is measured by calculating the amount of air that has been pumped into the inner lining of your tyre in pounds per square inch (PSI) or BAR pressure,” said Rosh. “How will I know if my car tyres have become incorrectly inflated?” asked Hosh. “Overinflated tyres wear heavily and unevenly across the central part of the tyre, so they too have shorter lifespans. So, both over- and under-inflated tyres wear faster than correctly inflated tyres and need to be replaced more often." “But how do I check them?” Hosh asked. "Let me show you," said Rosh, getting out of the car. Hosh followed. Rosh showed him how to use the gas station gauge, while talking about the new, inexpensive yet reliable gauges, that were now available from the market. "Let's get one for us too," he said, "before we go home today."